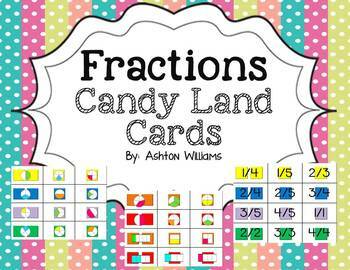 This pack contains Fractions Candy Land cards. 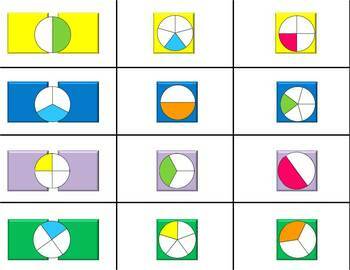 It contains 3 sets of candy land cards: the first is a simple set, all the cards colored 1 part of the whole (1/2, 1/3 etc. 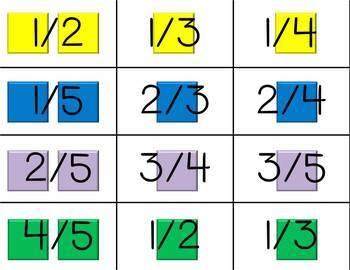 ), the second set is harder and the fractions are mixed and the third set has the fractions written out in number form. 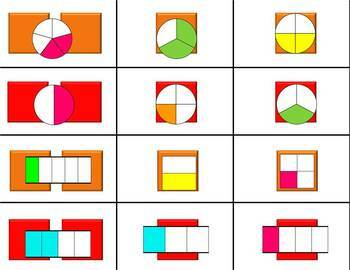 Just print, laminate and add to your Candy Land game. It's a fun group activity that has students practicing important skills.